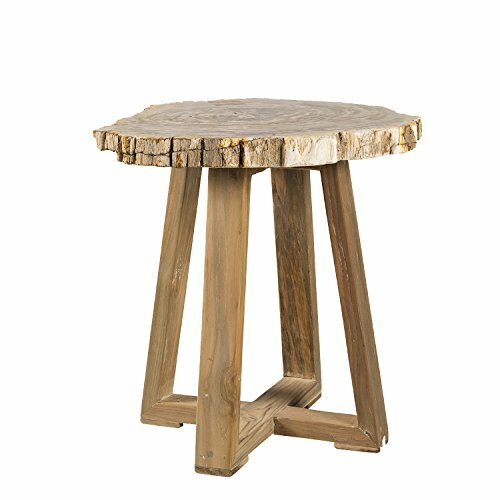 The Ibiza petrified wood end table is a unique statement piece for any home. Petrified woods are essentially trees that time has very slowly turned to Stone. Your fossil piece is unique in shape with the colors reflecting minerals present during the petrification process. This limited resource is harvested sustainably, preserved eternally. Please note that the petrified wood slice top will vary in appearance to the design pictured as each is made from Natural petrified wood. Cracking, knot holes, and grain are Natural traits that should be expected. Please note, Actual furniture and fabric colors may slightly differ from photos due to lighting and one's individual monitor settings. If you have specific questions, please Contact us. If you have any questions about this product by Padma'S Plantation, contact us by completing and submitting the form below. If you are looking for a specif part number, please include it with your message.